Three people were captured on video attacking a subway conductor in Brooklyn, with one woman cheering on the trio. Andrew Siff reports. 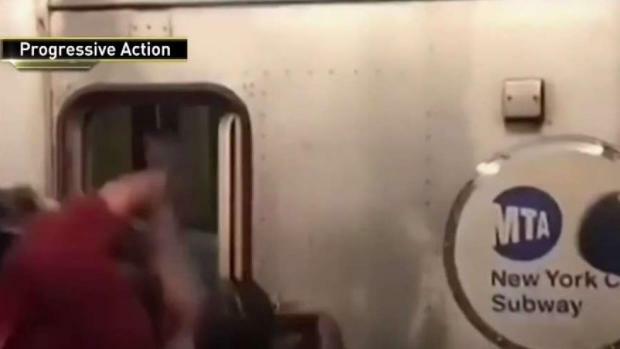 Transit leaders are speaking out against assaults on subway conductors, bus operators and other workers after a recent video showing a shocking attack on a conductor in Brooklyn over the weekend grabbed the attention of MTA authorities. "It was disgusting and appalling," said Andy Byford, the new president of NYC Transit. "We are not gonna tolerate this depressing tsunami of assaults on our staff." Byford stood with transit union leaders Tuesday as they held up a wanted poster of those suspected for several other assaults that have happened in the months before Saturday's early morning attack. In that incident, a conductor had just announced the A train at Grant Avenue would be running express, skipping the stops riders had been waiting for. 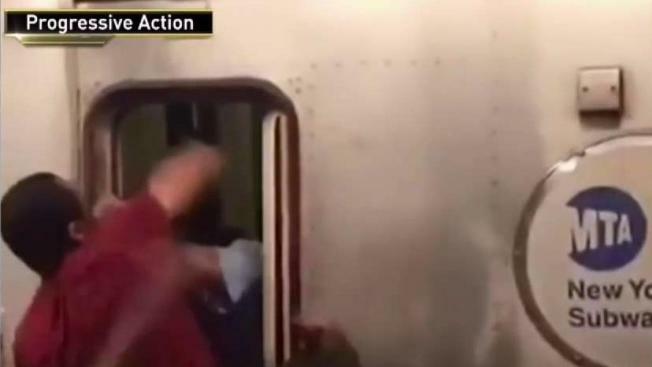 Angry riders descended on a conductor through an open window, shouting and then punching him, video shows. Three people were captured on video attacking a subway conductor in Brooklyn, with one woman cheering on the trio. Michael George reports. Tony Utano of TWU Local 100 says he plans to post the wanted posters everywhere "so these people get caught and prosecuted to the full extent of the law." Transit worker Crystal Young told News 4, "We understand the passengers are upset, but we are not the ones they should take it out on when they're upset." Bus driver Felix Olivo said he's been assaulted by a frustrated rider before, and seeing the video of the attack on the conductor "stirred up feelings in me." Byford said the seemingly endless decline in service is no excuse for lashing out. "I sometimes get frustrated when I board a plane. I don't go assault the cabin crew or the pilot," he said. The next steps, Byford said, is equipping transit workers with body cameras so that the MTA doesn't have to rely on cellphone witnesses to record an assault, whihc is punishable by up to seven years in prison. The injured conductor was back on the job Tuesday.